This is a voice note sent via WhatsApp. Disturbing stuff from a ‘bright’ young mind seeking to better himself and contribute to South Africa in a positive and meaningful manner. 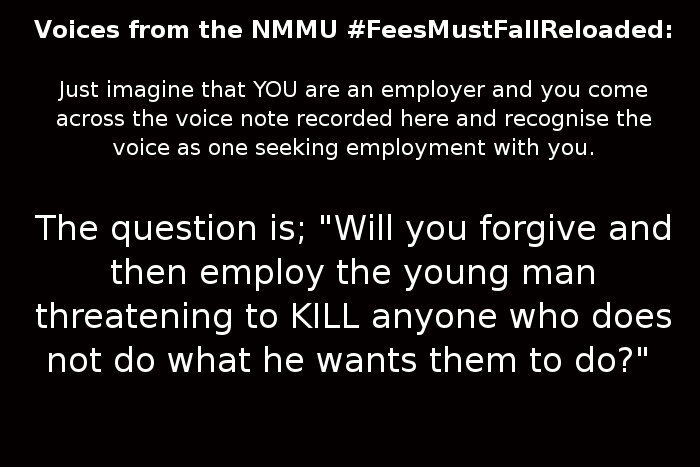 Just imagine that YOU are an employer and you come across the voice note recorded here and recognise the voice as one seeking employment with you. With thanks and acknowledgement to @athi_plaathie, @HeraldPE and ONE other anonymous contributor.